They’re not messing around when it comes to making that movie, either, as Edwards was in “a galaxy far, far away” when he made the video. “I’m just up here doing a small little sci-fi movie,” he said, “as soon as that’s over will be Godzilla 2.” Now, doing something “after making a Star Wars movie” means that said something will be years in the future. 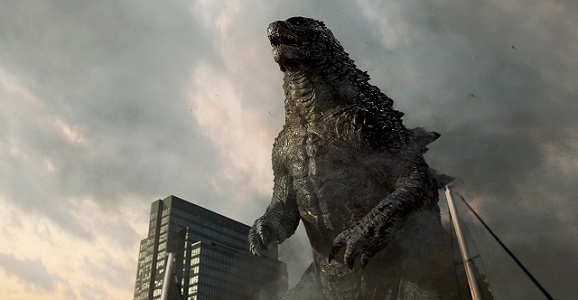 Edwards’ spinoff isn’t set to hit theaters until December 16, 2016, so while it’s possible he’ll be able to get some of Godzilla 2‘s pre-production work done before then, the presumed massive effects work going into the Star Wars movie will take a lot of his time. I’ll probably be in a nursing home when this thing comes out. More importantly, I’ll be watching Mothra, Rodan, and Ghidorah from that nursing home. Edwards introduced a “secret file” called Project Monarch, in which archival footage of the classic monsters was shown in all their costumed bliss. 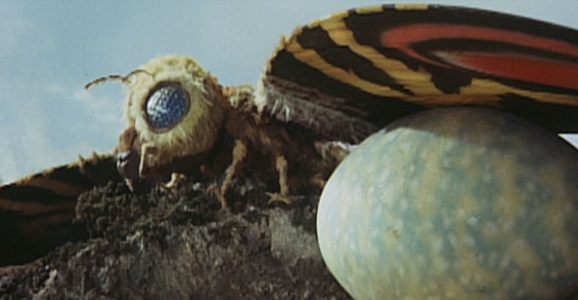 Mothra, arguably the most popular of the bunch, is a radioactive moth capable of doing major damage, though it doesn’t do battle unless it’s trying to protect something. (If you can’t recognize it by the giant wingspan, maybe you’ll notice the twin fairies nearby.) Rodan is a mutated pterosaur that sometimes has a spike-laden stomach to use when giving enemies supreme bear hugs. 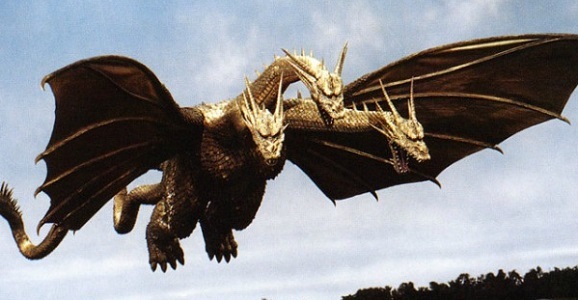 I’m actually most interested to see Ghidorah get the major Hollywood makeover, even though I know it’ll bother me in some way. Given how much I liked certain aspect of the rather unremarkable MUTO monsters, I don’t doubt Edwards and company will create something downright frightening with this three-headed alien dragon beast. Will these guys all be fighting one another in a Royal Rumble melee, or will they team up to take on an even bigger threat? Can such a thing exist? Find out in like, 2018 or something.